The festival runs from November 9 to 17. (SPOT.ph) November is going to be an awesome month for Manila moviegoers. Cinema One Originals is officially 10 years old, and they're celebrating with a diverse lineup of films that mirrors this year's tagline: "Kakaiba ka ba?" Expect an interesting list of compelling dramas, odd-ball comedies, and controversial themes in this year's film festival lineup. Aside from the nine films in competition, Cinema One Originals will also screen short films, foreign films under the World Cinema list, and restored classic Filipino films. The festival runs from November 9 to 17 at SM Megamall, Trinoma, Glorietta, and Resorts World cinemas. We give you a list of 10 must-see movies you shouldn't miss. 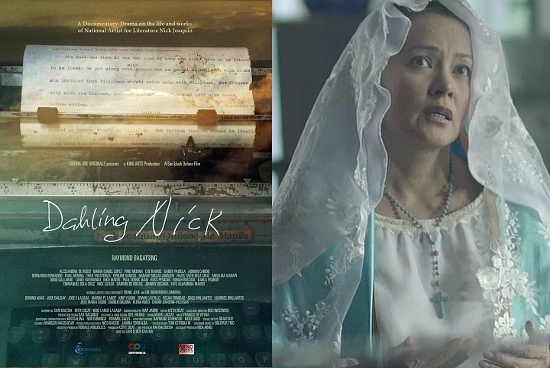 This docu-drama explores the life and contributions of National Artist for Literature Nick Joaquin, who only accepted his award on the condition that the Marcos administration release an unjustly imprisoned writer. Set in 19th Century China, this thrilling action film revolves around an exiled assassin who must decide between love and duty when she is instructed to kill a man from her past. A has-been actress (Abad) loses everything and decides to end her life. Her suicide attempt is cut short when she receives a mysterious package that contains the ashes of a dead man. This three-part epic is a fascinating collection of different stories loosely based on One Thousand and One Nights, a compilation of folk tales from the Middle East, South Asia, and North Africa. (It is more popularly known as Arabian Nights, which includes the stories of Aladdin and Sinbad.) The film was screened in this year's Cannes Film Festival and Toronto International Film Festival. This film is a marriage of sci-fi, drama, and dark comedy which tells of a dystopian future where single people must find a romantic partner within 45 days, or be transformed into beasts and sent off into the woods. Baka Siguro Yata tells an odd-ball love story that spans three generations. At the center of it all is Carlo, an unambitious graphic designer whose heart gets broken, leading him to seek comfort with an old high-school classmate. Meanwhile, his separated parents rekindle their relationship by cheating on their respective partners. This 1976 classic drama from Lino Brocka zeroes in on a poverty-ridden woman's quest for revenge after she is raped by her mother's lover. It was the first Filipino film to be screened at the Cannes Film Festival. The drama pays homage to the local action movies of yesteryear, and centers on a father and son who are caught in the shadowy underworld of Manila. This 1978 film revolves around Tere (Aunor) and Rex (De Leon), whose long-term relationship is shattered when the latter meets the beautiful and liberal-minded Sandra (Santos). For a complete list of films and screenings, visit Cinema One Originals' Facebook page.